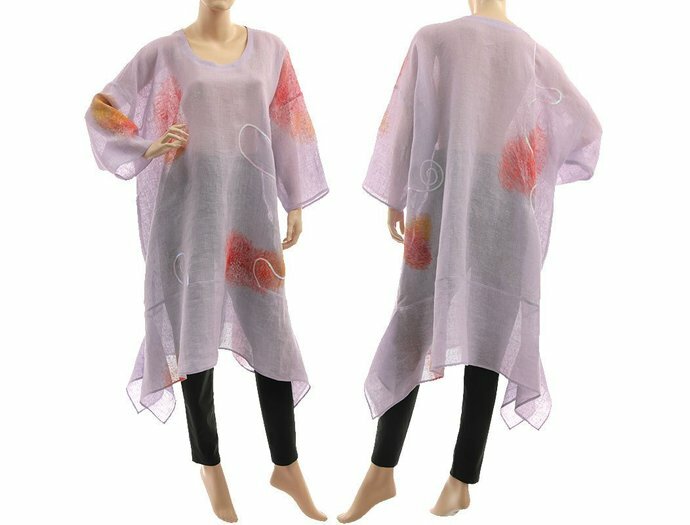 An amazing flared boho / lagenlook tunic - made of beautiful linen gauze. 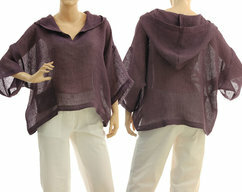 This airy and light tunic has a longer and wide shape with a swinging pointed sides. 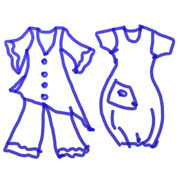 Very versatile, fits to many outfits, perfect as a cover on warm days. Elaborately and carefully worked, painted by hand in modern-abstract style. 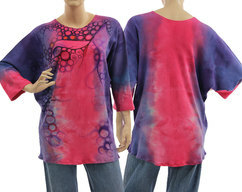 Decorated with sequins, it is oversized and fits more sizes. 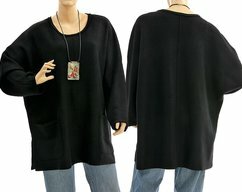 This tunic is timeless and can be worn by women of all ages.